Simple and easy recipes are my forte. While I do like to make elaborate and tough-to-make-at-short-notice types of food, I also like to make meals which are done with least effort and time. 'Cos day to day, recipes like these are what I reach out for. The only care I take in every meal is inclusion of protein. At least in some quantities. More so rather than just for nutrition sakes, I also have an hidden agenda of such foods helping us to get filled up faster! I am surprised at many westerners who assume and take it for granted that eating vegetarian food is the surest way of having that dratted slim look! Sorry to burst your bubble, it sure isnt! 1. Saute the seeds in 1 tsp of oil. 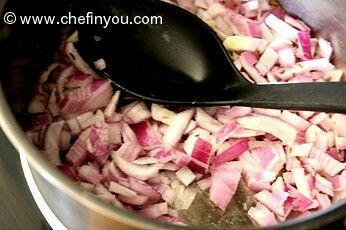 When the aroma starts wafting add the onions and the ginger-garlic paste. 2. Once the onions are soft, add the beans. Add the chilli powder, turmeric and asafoetida. 3. Saute it for a minute. 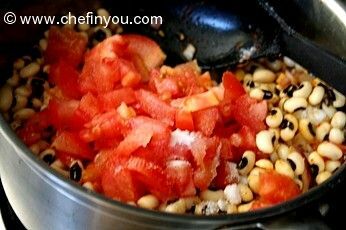 Then add the tomatoes, garam masala, sugar and the salt along with little water. 4. 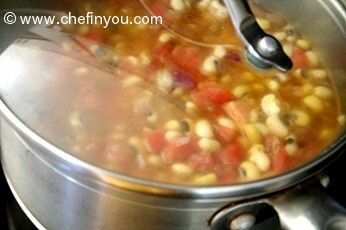 Bring it to a boil, cover and then simmer for 10-15 minutes or until the beans become soft. 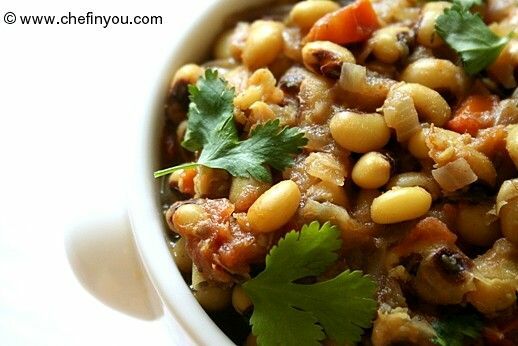 If you think, the gravy is not thick enough, then you can mash few black eyed peas to make it thick. Garnish it with the herbs and serve hot. Loved this recipe..made it twice..it was awesome.. I followed mostly the recipe given by DK. Omitted the garlic as I did not have them on hand. Cooked the peas separately first. I roasted and powdered to make my garam masala, which i prefer to do as they taste better freshly ground. The one thing I might add the next time will be some amchur for the tangy taste. This was just a bit sweet owing to the tomatoes. Made some rajma yesterday. Came out excellent even though it came out more continental than I'd like. I've scoured enough cooking sites and your's makes it so much easier. I'd have to say the photos make all the difference. Being out of home for gud 20 years made be a self taught chef. I am too fan of such simple yet nutritious vegetables. You take lot of pain in putting the recipes through photos and commenst, I wonder what stops you from making the video instead ? Any way thanks a lot for the recipe gonna cook today for dinner. 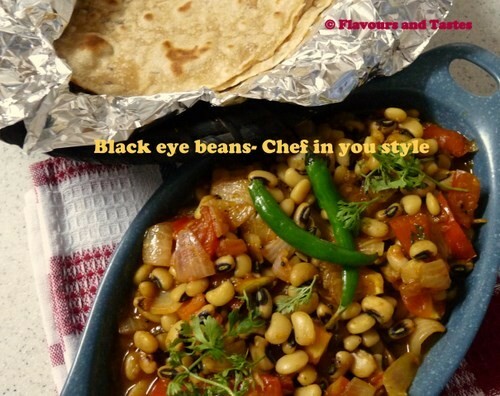 The dish looks yum and I would make them with phulkas :) I luv the aroma of fennel seeds. But do you add it while garnishing or while sauteing? Nice! 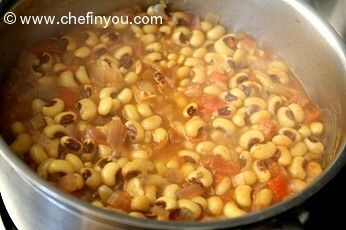 But Black-eyed peas needn't be soaked over night. Even 30 mins of soaking and pressure cooking it to two whistles, cooks it perfect. 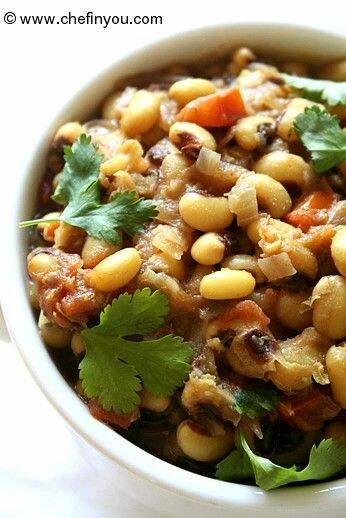 This is a complete healthy meal for me, regular herbs and spices from the spice rack are used and it really looks so tasty. A perfect dinner for everyone. I like how you expound on the fact that calories is still important. Even though I am still overweight I have lost 50 pounds since becoming vegan. Movement is the best way to lose cause Fruits still contains Carbohyrates. And Carbs should always be used unless you want them to turn into fat. But nonetheless this is a good recipe that I will definitely try. 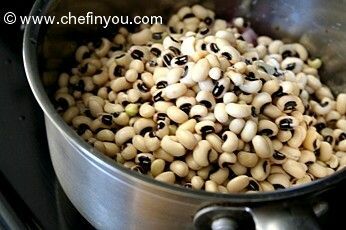 Is it enough to cook the bean in pan for 15 min to get it soft ? I thought all beans should be pressure cooked before adding. thats a favourite with rotis at my place. we all enjoy it this way. looks lovely. 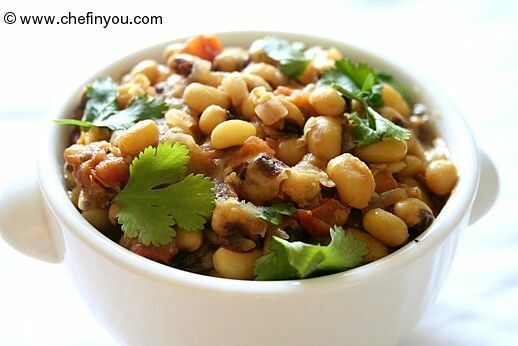 Fantastic side dish for rotis, protein packed spicy black eyed peas makes me hungry. 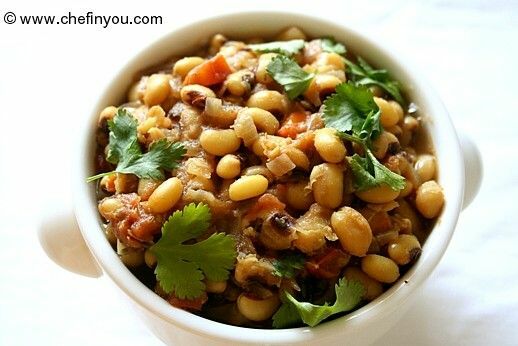 Wow looks perfect for rotis....luv ur version!